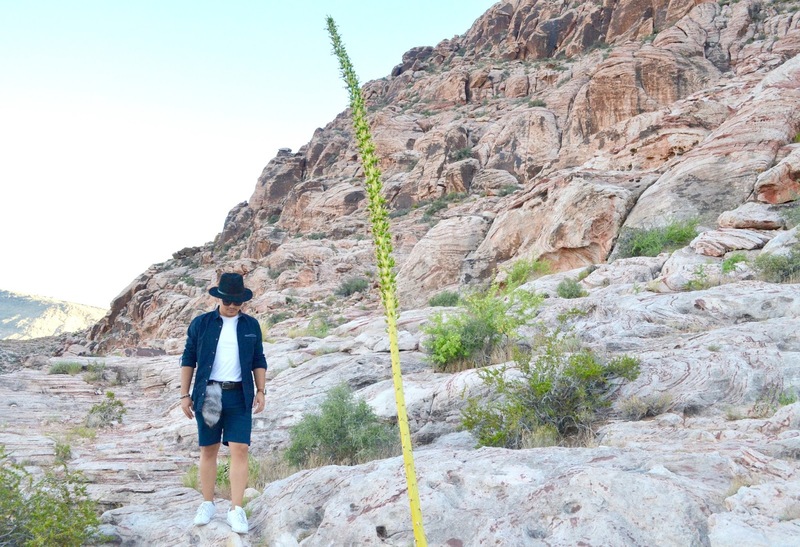 Small hike across the desert! 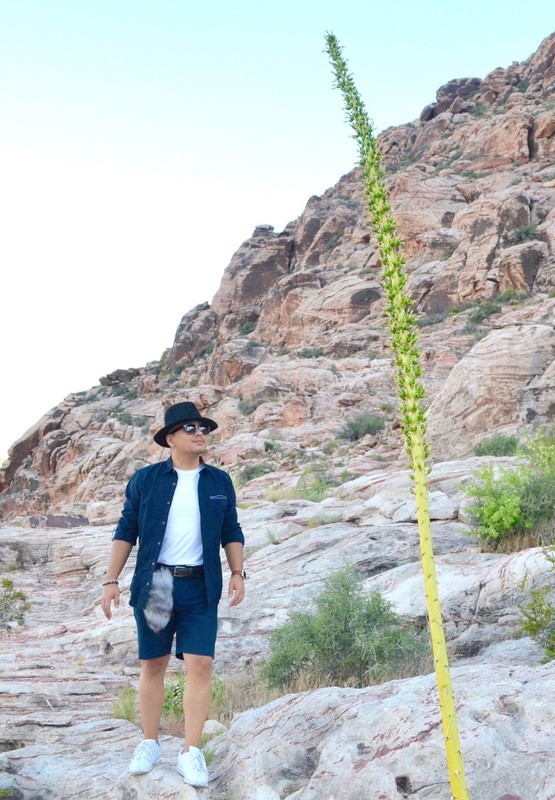 Can't be in a city located in the middle of the desert without actually visiting the desert. 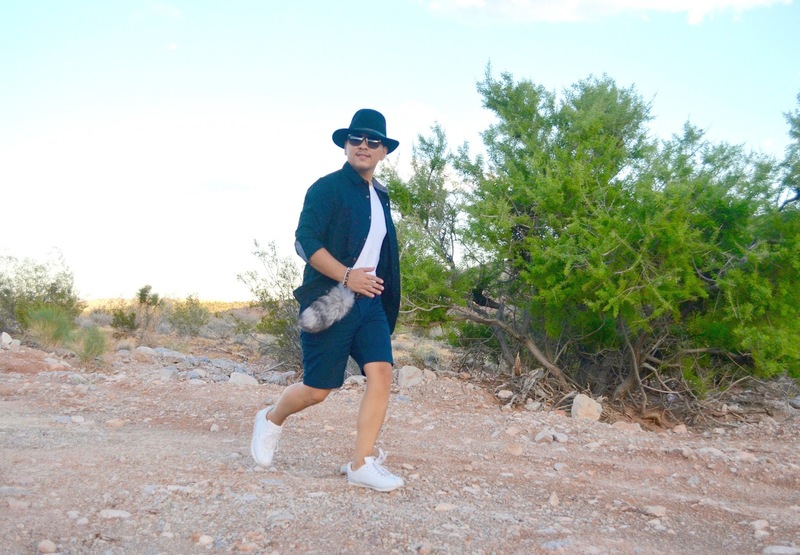 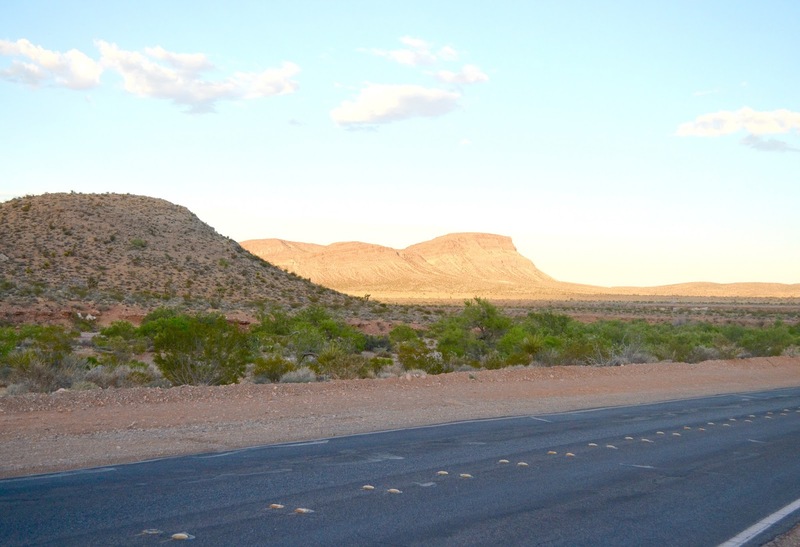 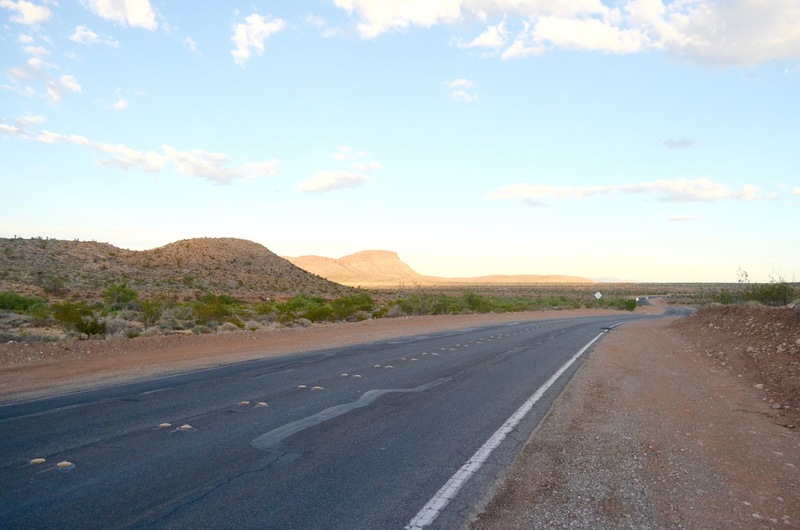 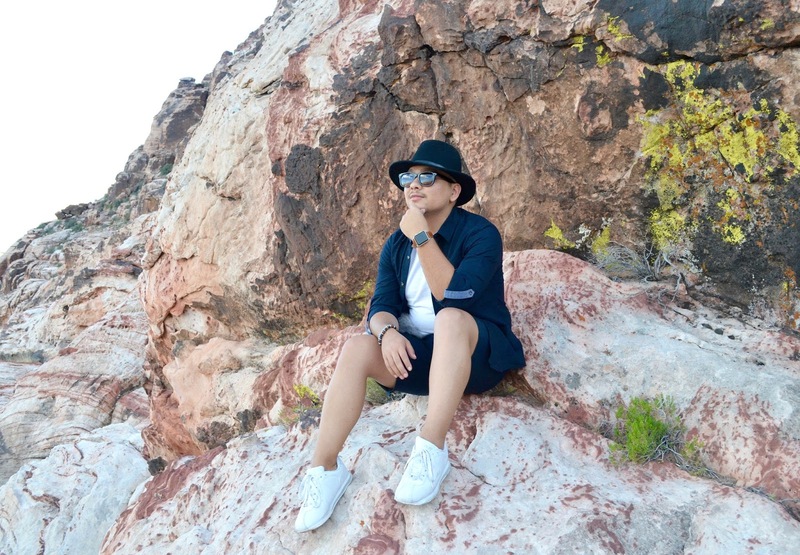 During my birthday getaway in Las Vegas, I decided to head out for a fun adventure out in the desert and for being my first time in the desert, I was very excited and looking forward taking many fun photos, including one in the middle of the road. 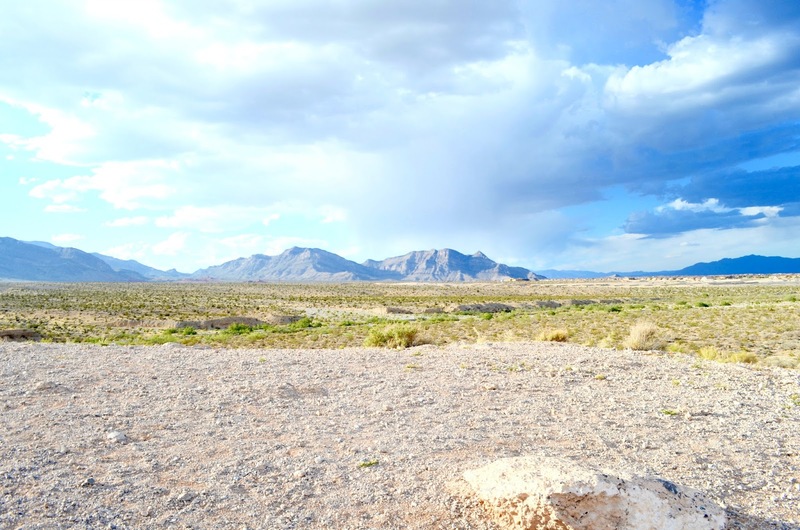 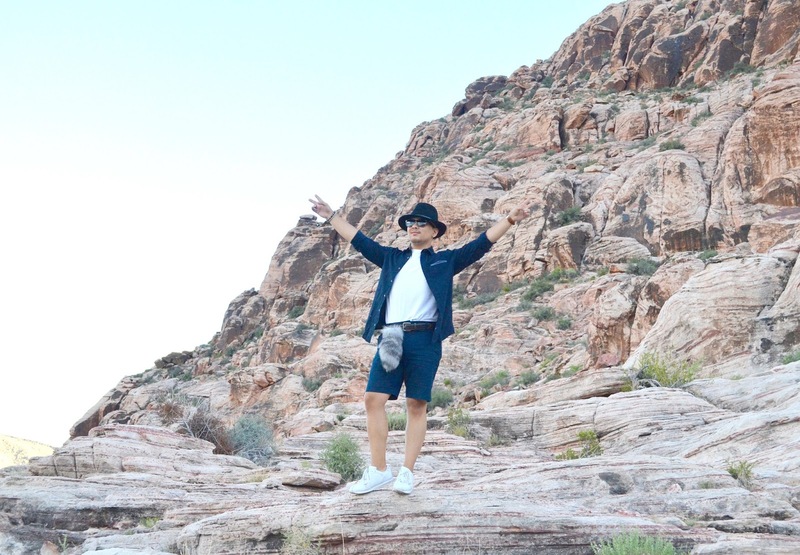 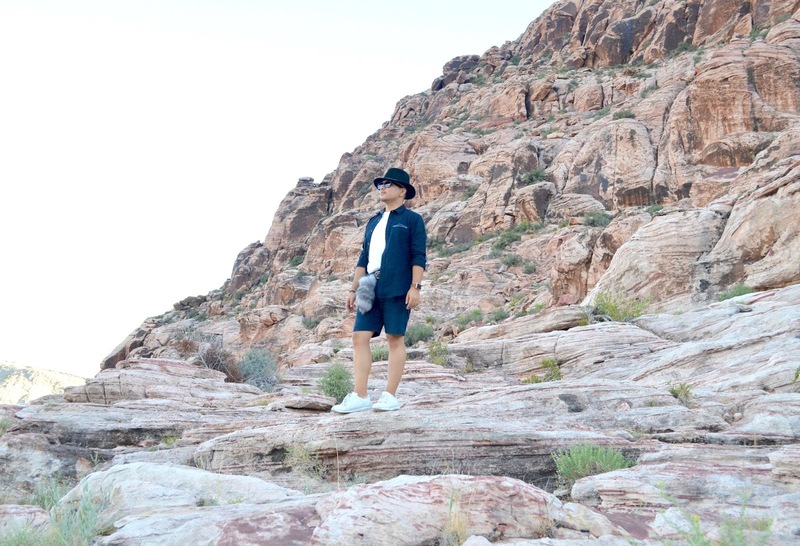 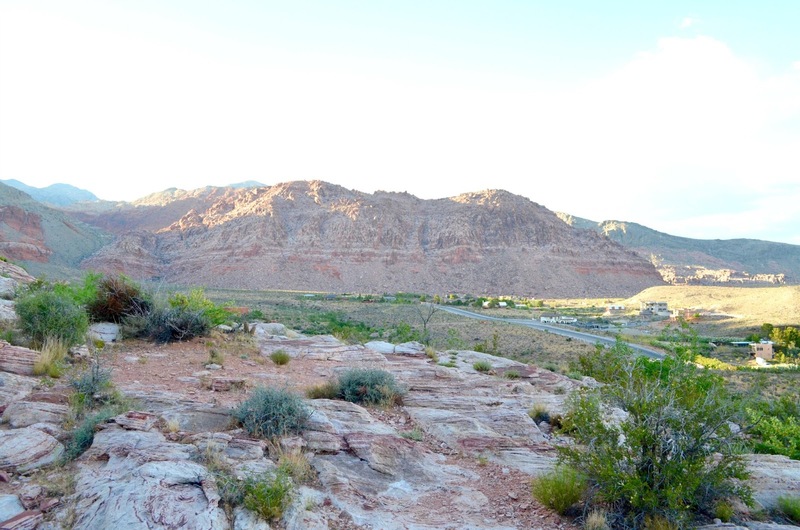 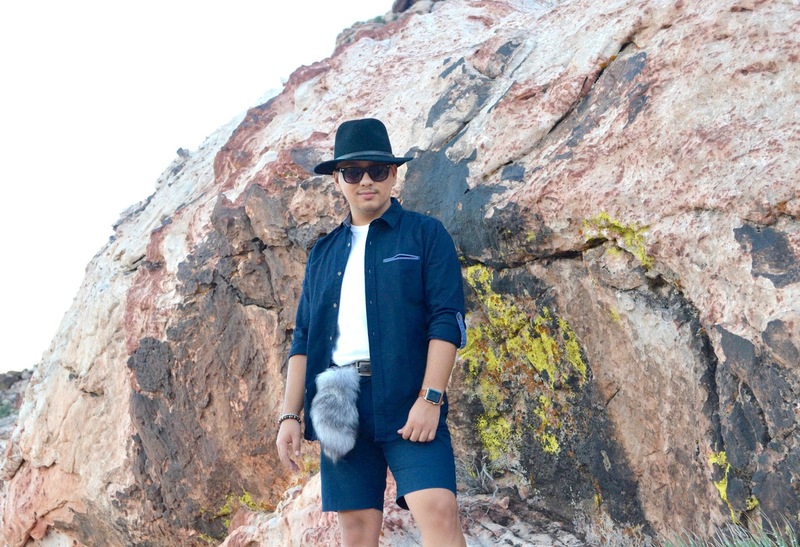 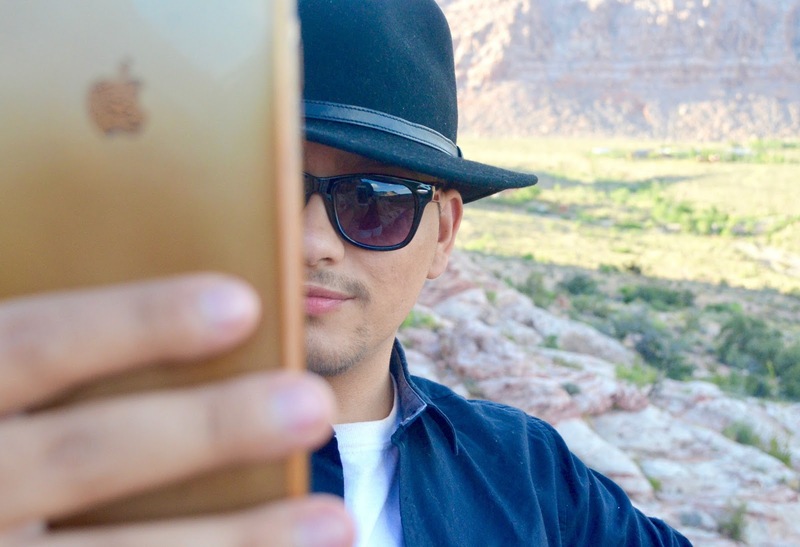 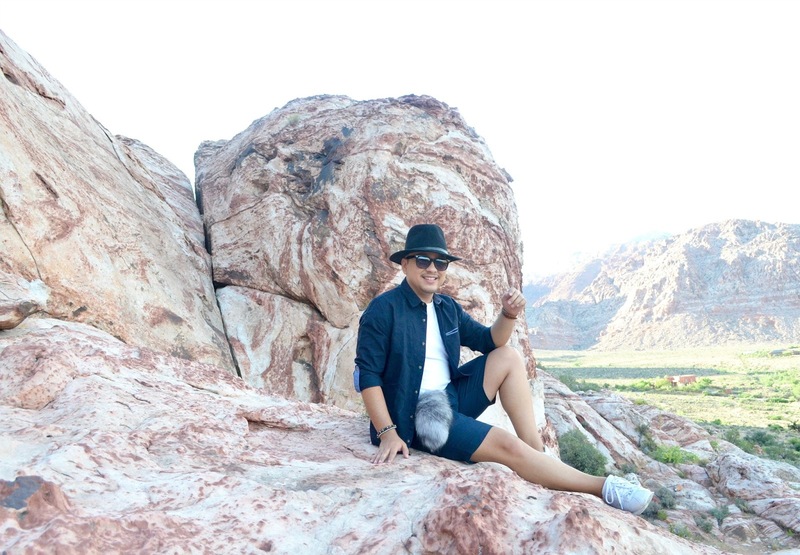 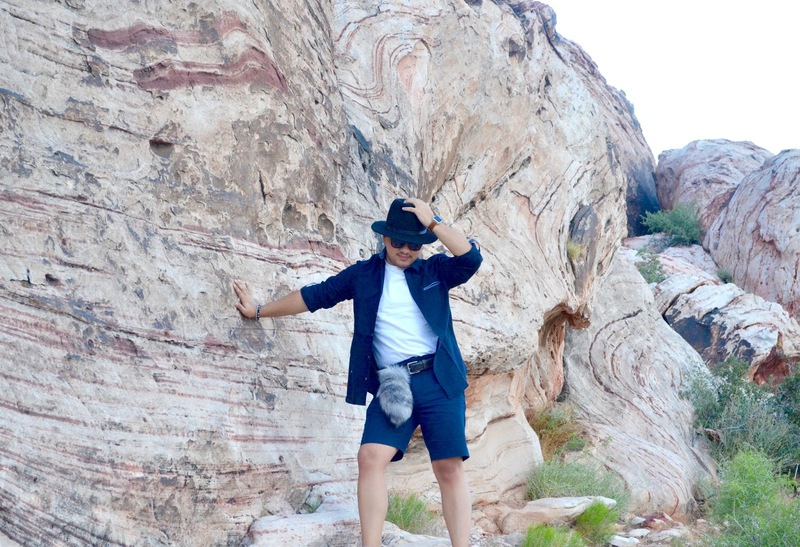 When I arrived at the Red Rock Canyon, National Conservation Area, located in the North-East area of Las Vegas, I was very amazed with nature once again. 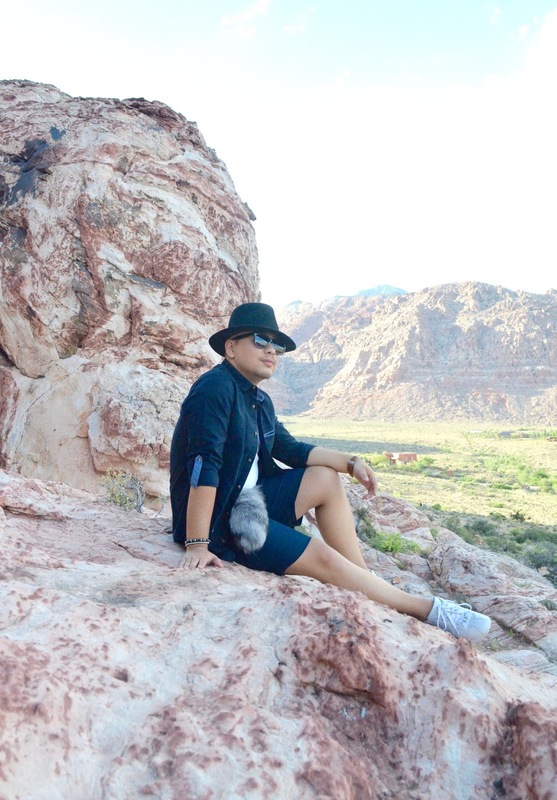 For those who have been following me since my early years of blogging, will know that I'm very passionate and inspired by nature's beauty and uniqueness. 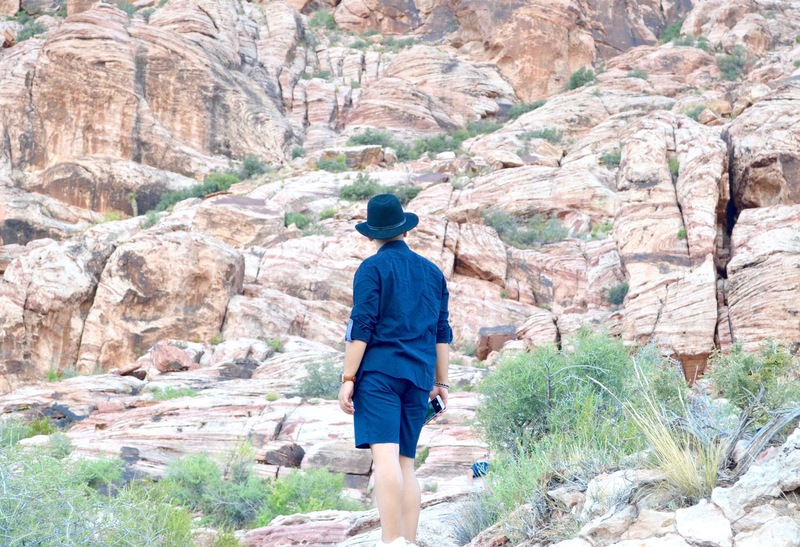 And being able to be there, made me want to learn and explore more of the nature's beauty and the world. 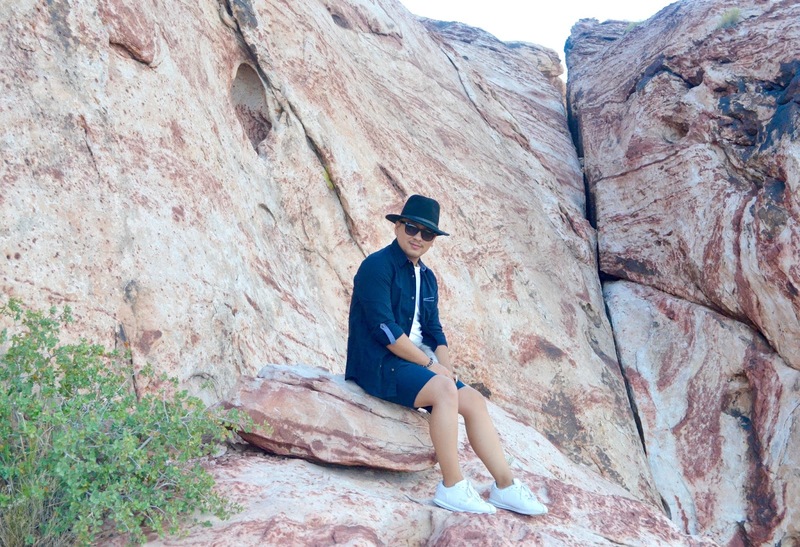 Taking a look back at my birthday getaway trip to Las Vegas, I realized I was basically in love with the match trend. 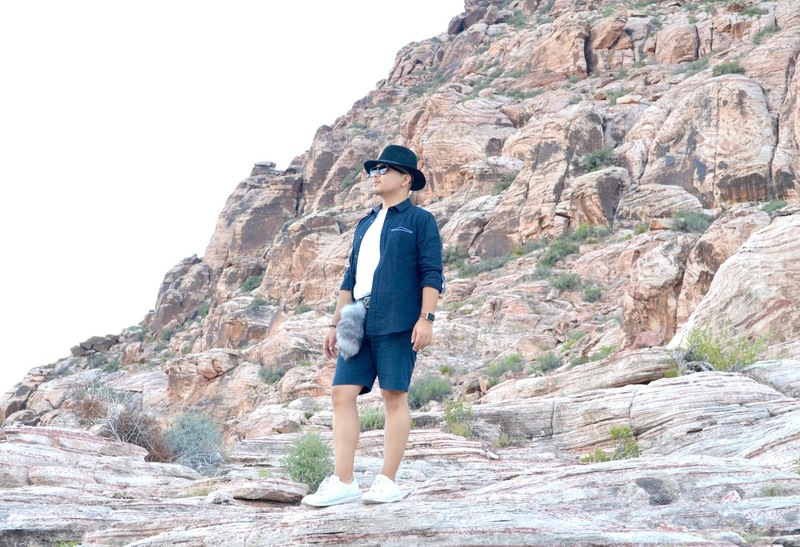 And for this occasion, once again, I decided to match my navy blue shirt from H&M with a similar kind of color navy blue color to match my J-crew shorts. 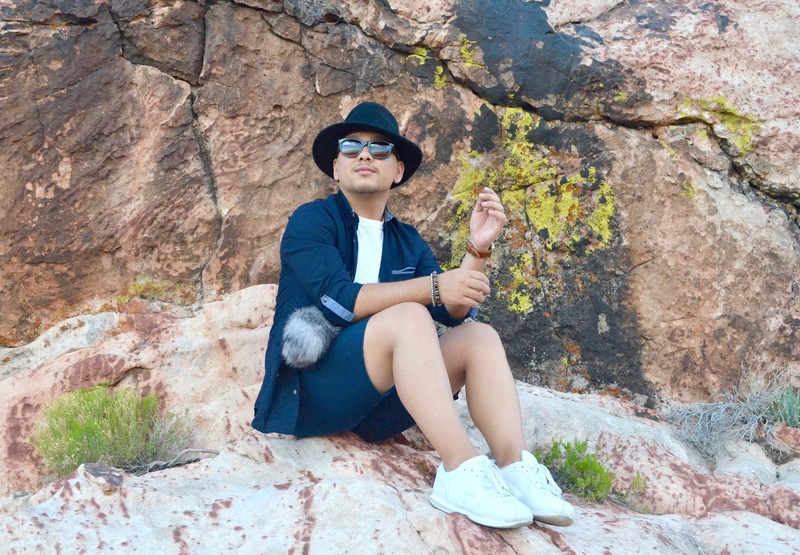 Since, someone told me to bring shoes that I didn't mind getting dirty, thank god for these white shoes I got at Walmart at last minute. 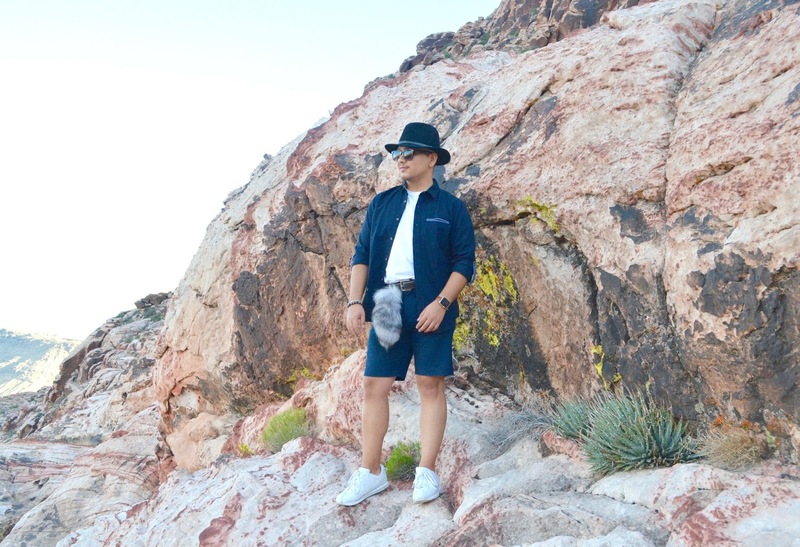 For give this outfit a more casual look, I decided to leave the shirt unbutton and wear a plain white t-shirt under. 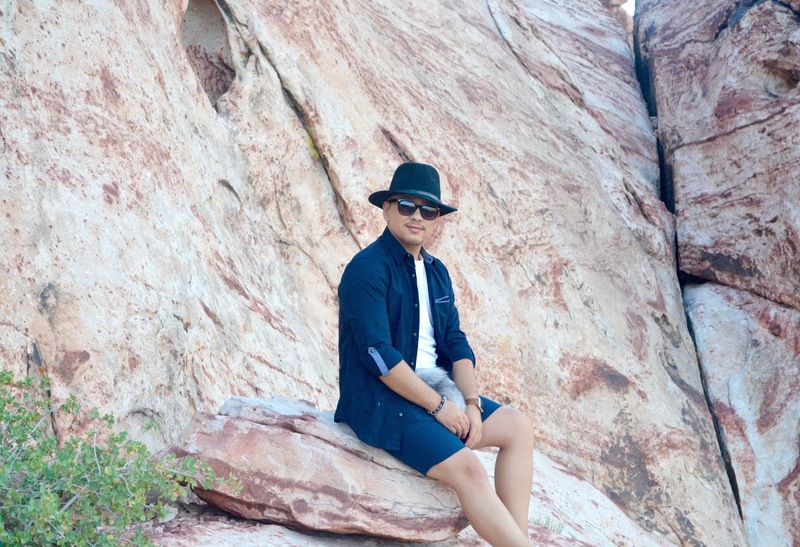 Since, it was a bit sunny, I wore my favorite of all time, black fedora hat and like always, you can't never forget your sunglasses. 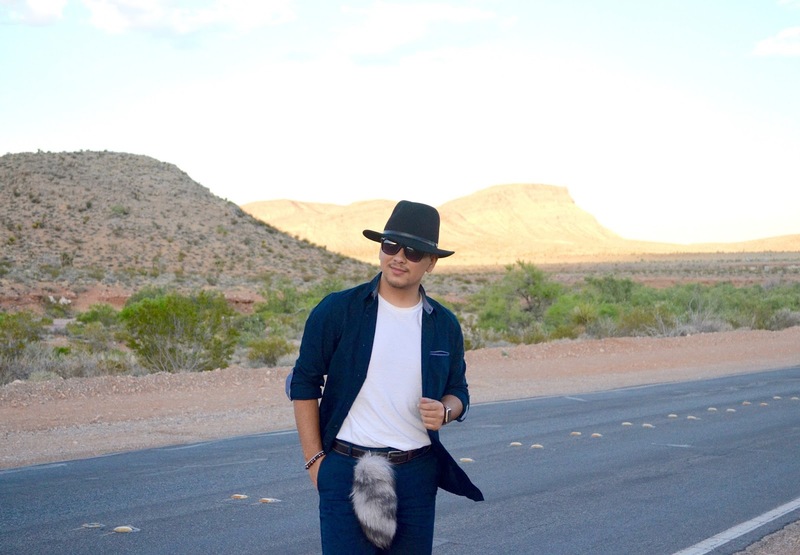 For a touch, I felt in love with my vintage fox tail charm during this trip, which is usually a bag accessory, but this time, I decided to wear it in one of my belt loops to give this outfit a more of a wild safari look. 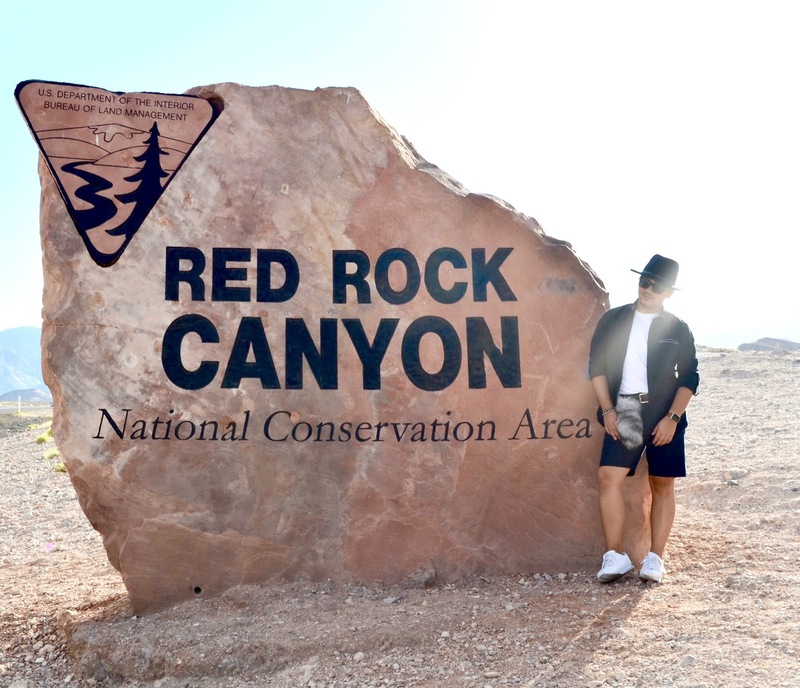 That's all for today and for my birthday getaway trip to Las Vegas. 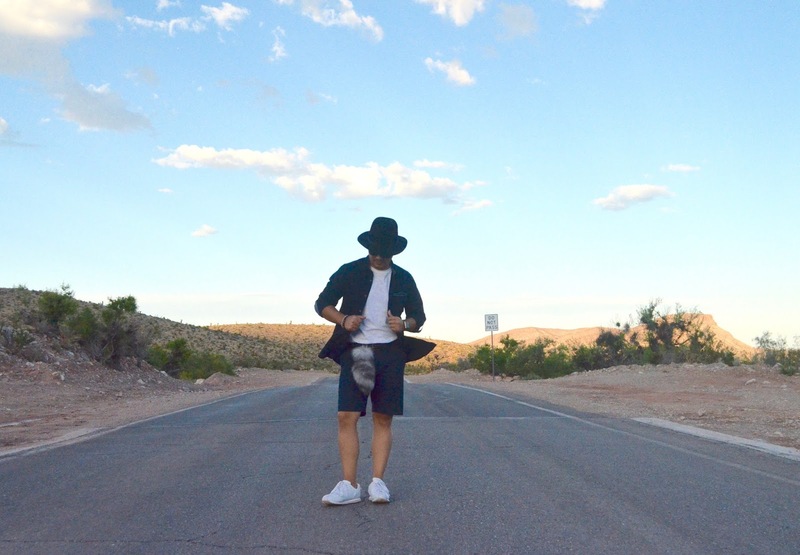 I honestly felt in love with this city and I'm looking forward in going back very soon.